It’s a beautiful day for a picnic! 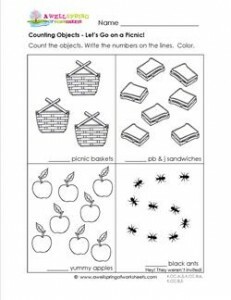 Practice counting objects by counting the picnic baskets, sandwiches, apples and … ants? Please go to this page to see all the counting objects worksheets in this set.